Soothe and nourish the scalp with this tea tree, hemp seed and argon oil shampoo and conditioner from Earthly Body. 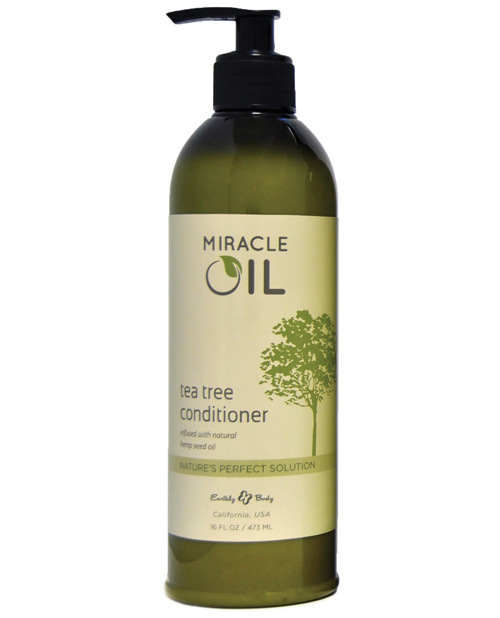 You are going to love the way this sulfate-free Miracle Oil formula relieves dry skin, conditions dandruff, feeds parched hair and dazzles the incense senses with its aromatic camphor aroma. Purchase 16 ounces of pure pleasure and look forward to each use of nature's perfect solution tea tree hair shampoo and moisturizing conditioner infused with natural hemp seed oil (sold separately).